I have read some really fantastic middle grade in the last year – stuff that has made my heart break not only for the characters, but for people in general (and for my younger self!). I’ve also read uproariously funny books, and nightmare- and shiver-inducing ones, too. Catherynne M. Valente and Claire Legrand wrote two of my favorite books of 2012: The Girl Who Fell Beneath Fairyland and Led the Revels There and The Cavendish Home for Boys and Girls. Both authors have new middle grade books out this year, and I AM EXCITED. In ALL CAPS. It looks as though my middle grade obsession will continue unabated. 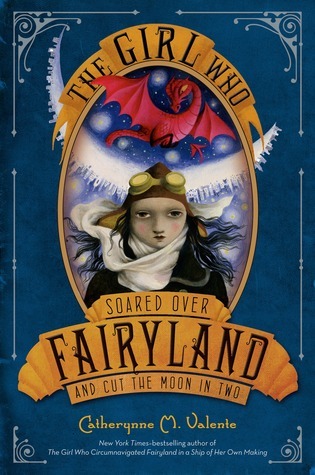 Catherynne M. Valente’s The Girl Who Soared Over Fairyland and Cut the Moon in Two will be released by Feiwel & Friends (Macmillan) on October 8th, and Claire Legrand’s The Year of Shadows will be released by Simon & Schuster Books for Young Readers on August 27th. Here is another rich, beautifully told, wisely humorous, and passionately layered book from New York Times-bestselling author, Catherynne M. Valente. Her mother left, her neglectful father -- the maestro of a failing orchestra -- has moved her and her grandmother into his dark, broken-down concert hall to save money, and her only friend is Igor, an ornery stray cat. Just when she thinks life couldn’t get any weirder, she meets four ghosts who haunt the hall. They need Olivia’s help -- if the hall is torn down, they’ll be stuck as ghosts forever, never able to move on. 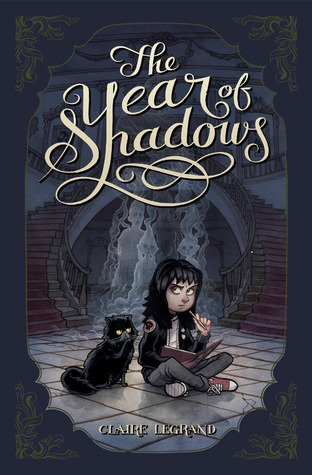 Ooooo The Year of Shadows looks great. I love the cover and summary. Both seem like great books! Nice WoW pick! Oh my goodness, I need to read second Cat Valente book already. The first one was so exceptional! And I hear very good things about The Cavendish Home for Boys and Girls, too. I haven't read that one yet, but it's always my hope to make time for it! Gotta get to these before the next books come out! !